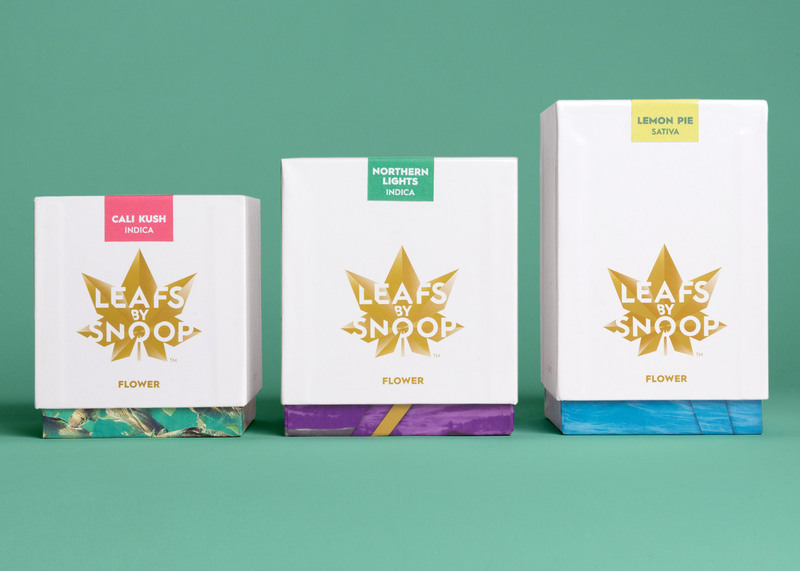 US rapper Snoop Dogg has launched a line of edible cannabis products with packaging designed by Pentagram to skirt around US laws on controlled substances (+ slideshow). 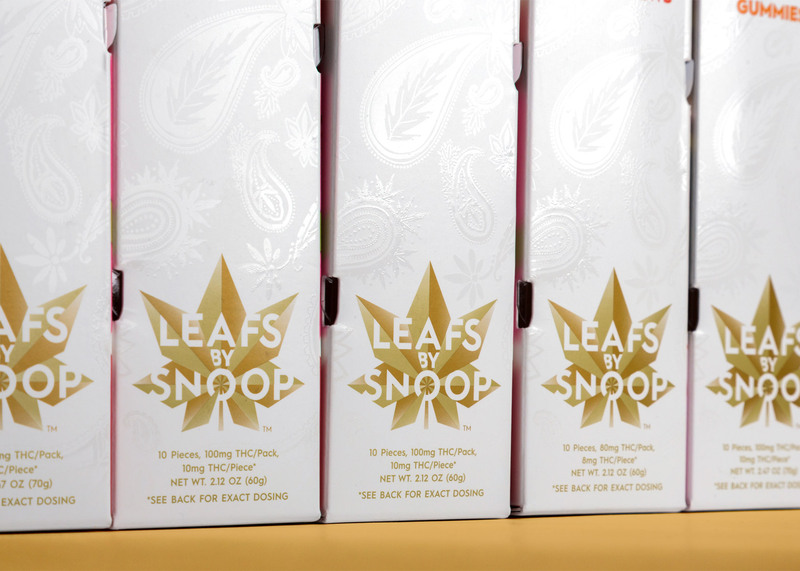 US rapper Snoop Dogg unveiled the first Leafs by Snoop range this week in Colorado, where marijuana is legal. 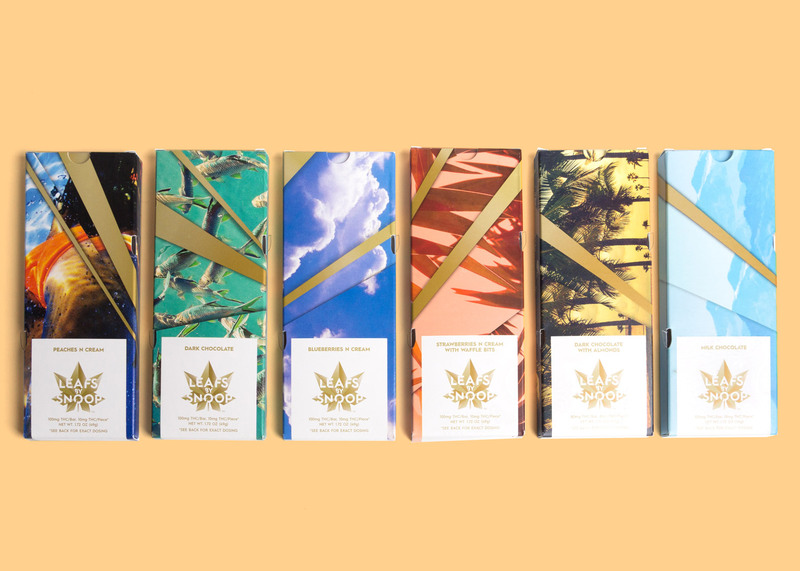 The collection encompasses a variety of products containing cannabis, including chocolate bars, drops and gummy sweets, as well as boxes of flowers from various strains of the plant. 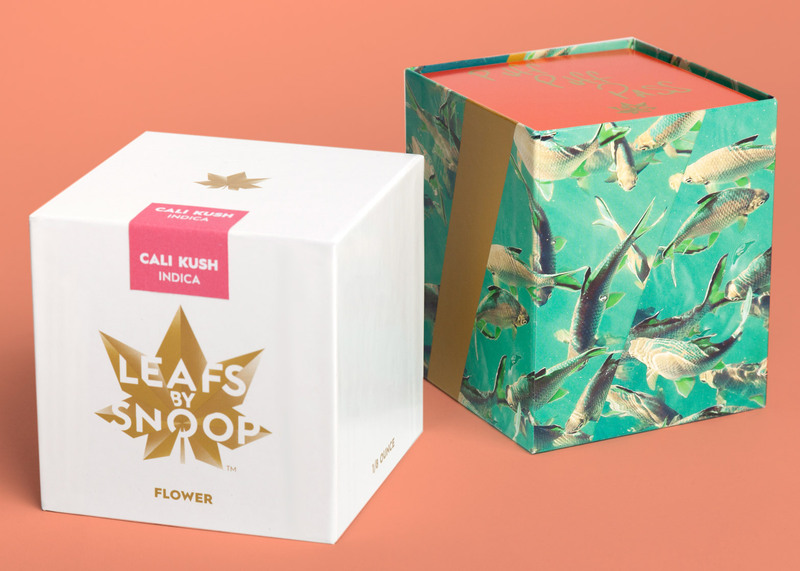 Packaging features a stylised cannabis leaf logo composed of "jewel-like facets", which opens and closes like a fan when animated. 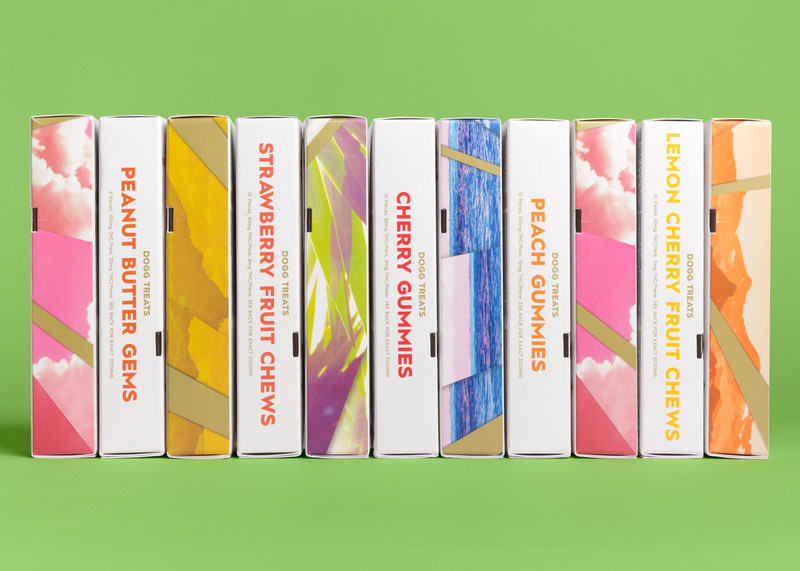 The different flavours of the range – Blueberry Dream, Bananas, Northern Lights, Lemon Pie, Tangerine Man, 3D CBD, Grape Soda and Cali Kush – are distinguished by coloured stickers. 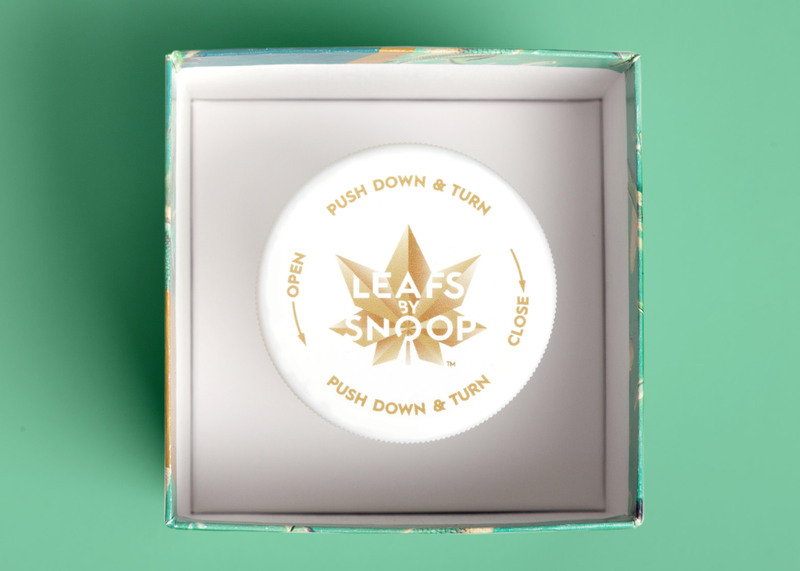 Boxes contain collectible stickers decorated with trademark Snoop Dogg phrases in gold foiled lettering, and bearing instructions for use on the reverse. 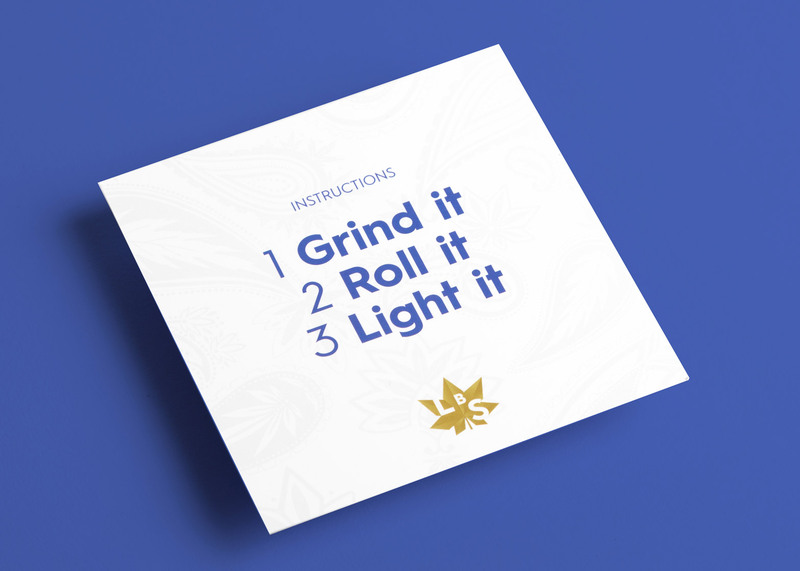 Featured phrases include "smoke weed every day" and "wake and bake". Many US states have recently relaxed restrictions on the use of cannabis, either legalising it completely, making it available for medicinal purposes or decriminalising the drug. But the plant is still classified as a controlled substance. US federal law states that packaging for products containing these substances must be opaque and child proof, and edible items cannot be referred to as "candy". 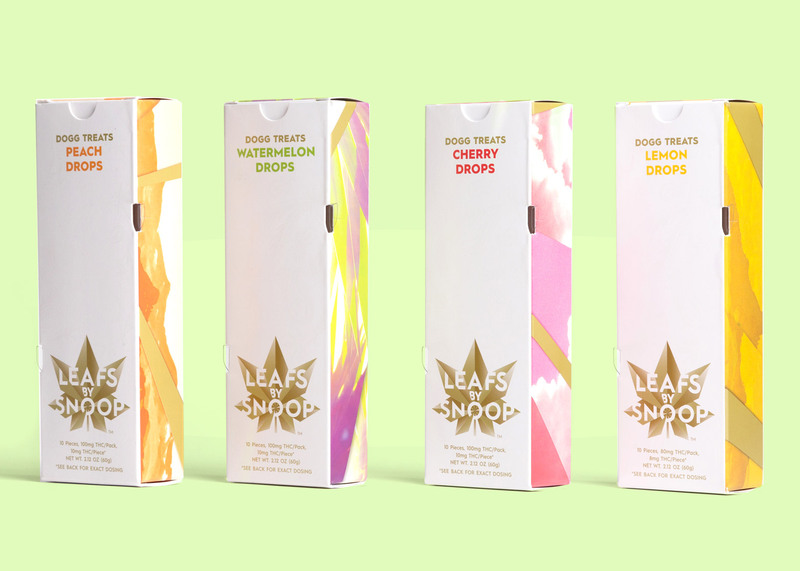 Pentagram worked with Snoop Dogg to develop Dogg Treats as an alternative name for the line's sweets. 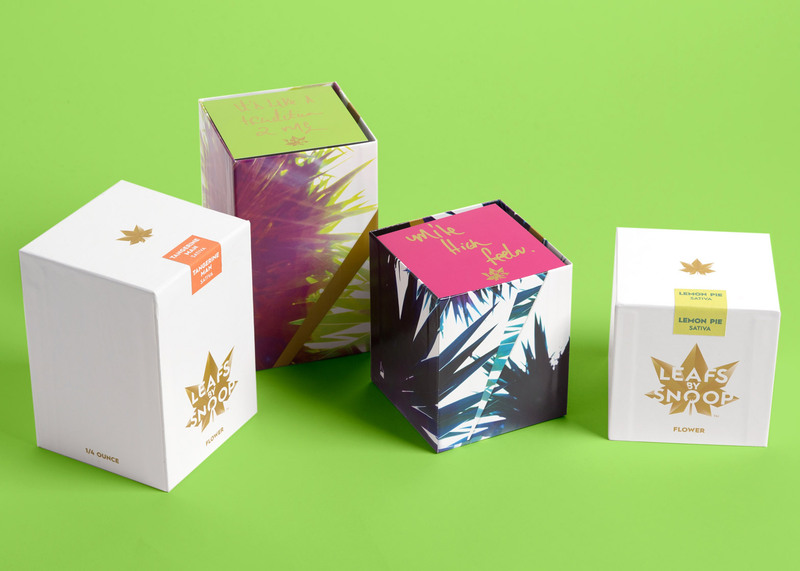 "We're definitely pro-marijuana legalisation, and we welcomed the opportunity to be involved in the evolution of this issue," said Pentagram team leader Emily Oberman. "It's like working at the end of Prohibition," said Oberman. "Everything is changing, all the time. Laws change from week to week, and affect what you can do. It's incredibly exciting, but it's also difficult, so we had to keep it simple." 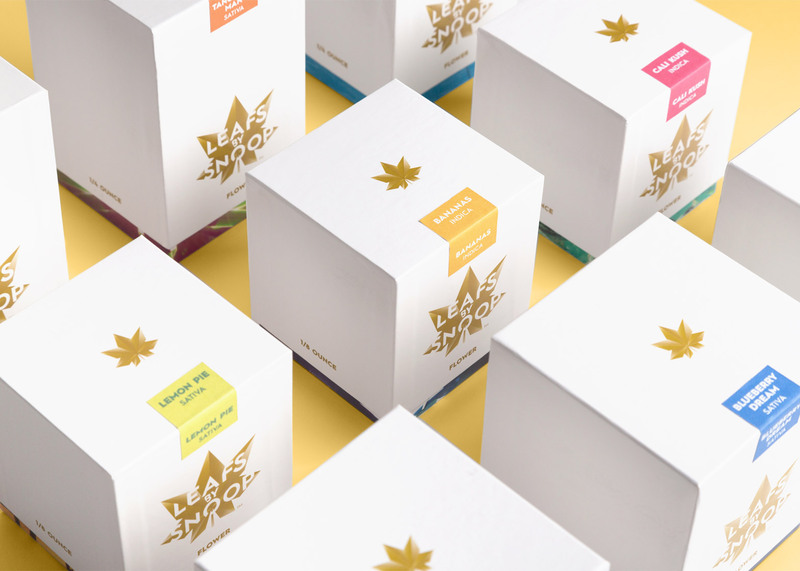 The name of the brand appears as if cut out of the cannabis leaf, and is set in sans-serif typeface Hurme Geometric No 1. When reduced to smaller type sizes the name is abbreviated to LBS. According to the agency, this is a play on the idea of weight and "buying in bulk". 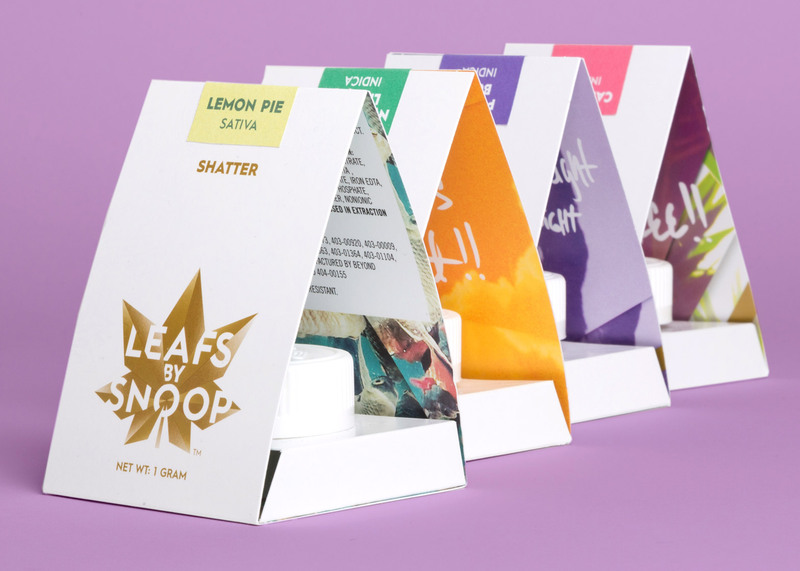 "When it came to the packaging, working at the forefront of a new era of recreational products presented a series of challenges," the studio said in a statement. "The designers used existing packaging structures that were already legally approved, but tweaking it all to make something that felt inventive and high-end," it added. 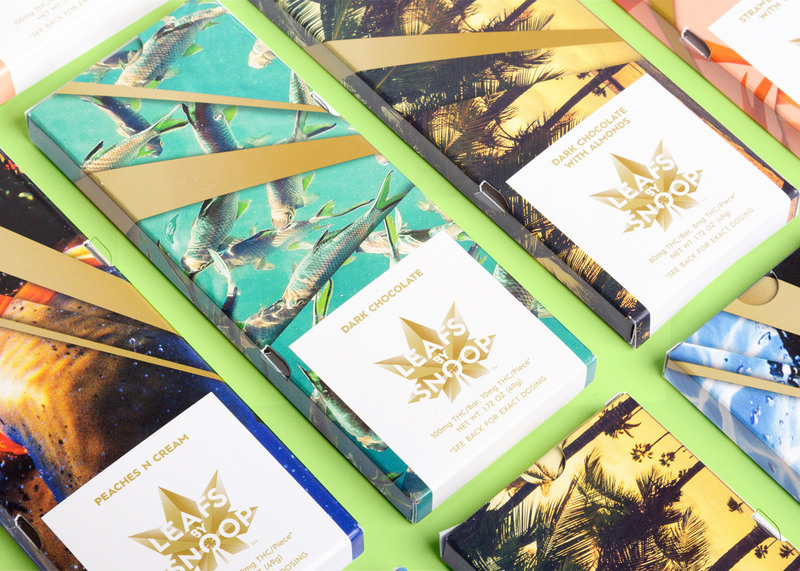 The facets of the logo are echoed in golden rays that extend out over the chocolate packaging, which is printed with patterns of fish, blue skies and palm trees. A spot-varnished paisley print – a reference to the rapper's love of the pattern – adorns the outside of boxes and wrappers. 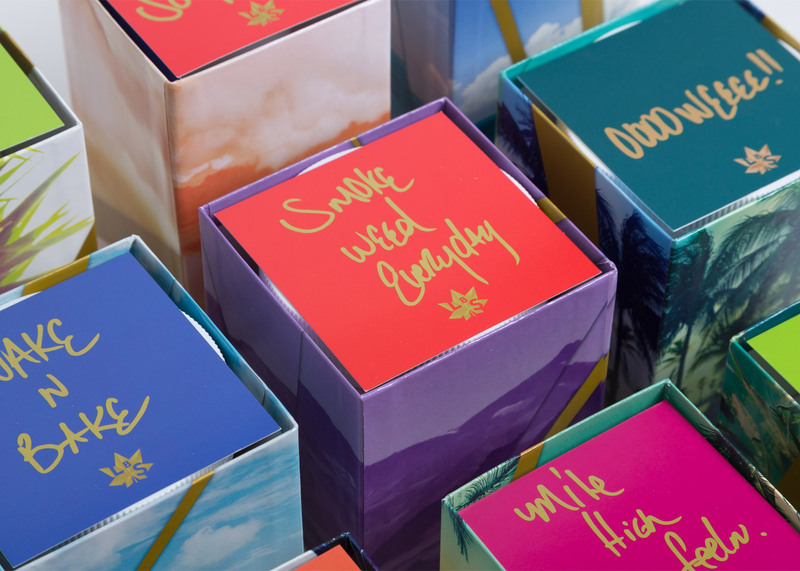 "These engaging, playful details help make the LBS packaging feel luxurious and special – and also hopefully contribute to the user's happy, blissful experience of the product inside," said Pentagram. 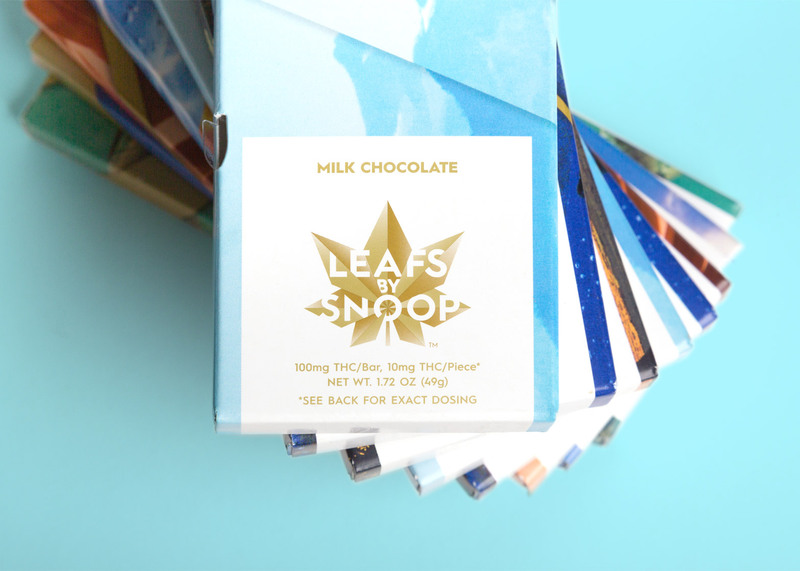 "Leafs By Snoop is not just another celebrity-endorsed product. There is nothing artificial about Snoop or LBS," added Oberman. "He genuinely loves marijuana and is excited about sharing this enjoyment with others who are able to use it." Designer Megan Stone, who creates interiors for marijuana dispensaries in the USA, told Dezeen that 2015 would be "the year for cannabis" in America.